NOW AVAILABLE! 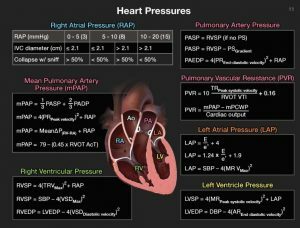 The Echocardiography Formula Review Guide: Native Valves and Intracardiac Pressures pocket guide is now for sale! This unique, spiral-bound, 6″ x 8″ formula pocket guide is a must-have reference for every practicing echocardiographer, imaging trainee, and sonographer. The illustrative cards detail the echocardiographic quantitative evaluation of native valve regurgitation and stenosis, as well as how to determine intracardiac pressures. If you are looking to become more quantitative in your reports, need a refresher on quantifying native valve disease, or studying for boards, this formula handbook will be useful on a daily basis. See it on the ASEMarketPlace Store Front under New 2019 Products Now Available. Find it under the Pocket Guidelines in ASEMarketPlace. In the Member Portal, you can find it under 2019 New Products, Exam Prep, and Pocket Guides. Many other new educational resources have been developed to help you enhance your practice. These low-cost primers are developed with the help of our volunteer content advisors such as the expert clinician Roberto Lang, MD, FASE, from the University of Chicago. There is something for every level of training. Make sure you log into your member portal to receive your discount.